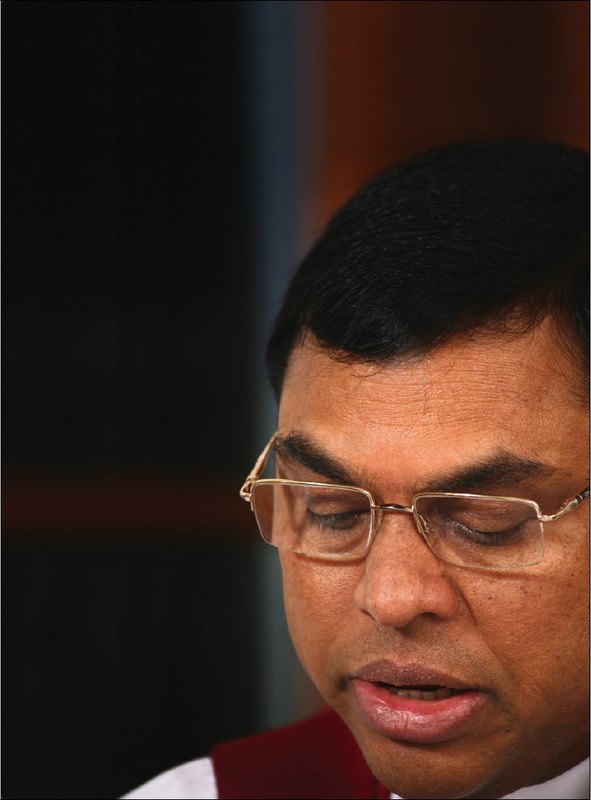 The Government has decided to confiscate several houses and an office belonging to former minister Basil Rajapaksa, as there is no proper legal documentation to prove the ownership of these houses. Accordingly, at least two houses, believed to be owned by Rajapaksa in Malwana, and Matara, along with his office in Gampaha will be confiscated by the Government. Sources said that the house in Matara is under Rajapaksa’s wife, Pushpa’s sister’s name. However, during a series of inquiries by the FCID, Pushpa Rajapaksa’s sister had denied any knowledge as to how her brother in law acquired the land and build houses on the land. A Rajapaksa brother in law, Lalith Chandradasa and architect Muditha Jayakody had also shared similar sentiments with the FCID during an inquiry. “They told the FCID that they did not know from where Basil Rajapaksa got the money to purchase the land and build the houses,” sources said. Meanwhile, the D. A. Rajapaksa Foundation Building located in Battaramulla (the building houses the Carlton Sports Network – CSN), constructed at a cost of Rs. 200 million, is also expected to be confiscated by the Government. According to sources, there is no owner for these houses, and offices, hence they are considered ‘Bona vacantia.’ The Government has sought the Attorney General’s advice on the matter on the possibility of confiscating the houses and offices, as the legal process against Basil Rajapaksa is expected to take around 10 to 15 years. The corruption ( uncleanliness) of former Government is still being continued and poor Sri Lankans continue to suffer. It will be appropriate to apply the same rule for all politicians in Sri Lanka. Selective punishment is a good measure to deflect or evade from consequences of own follies temporarily but it is not effective as a credible tool in the long run. I agree with Kautilya: audit all politicians for the last seven years, start with federal, then provincial and municipal. I fraud is found or suspected due to documented evidence or lack of it go further than the seven years. Confiscate all assets where evidence do not exist proving they were legally acquired. The politician has the right to go to court and prove otherwise. This will be a good deterrent for scumbags entering politics. I did a massive job to bring Sirisena a d Ra Il to power. I am so sad I did it. I will do a massive online campaign to send them home next time. Wait and see. Sinhalese Buddhist are suffering in the country. Non of crooks of the previous govet will be punished by this govt. Don’t expect it. Karma is a Bi tch: This is why Lord Buddha preached against greed. Bona vacatia or mala vacantia does not mean you can cofiscate buildings subject to legal action which are on going. Any excuse to humiliate and sling mud at Rajapaksas shows the deapths this rotten govt has sunk into. Imagine the amount of damage that would have to be paid to the real owner/s if they emerge at end of 10 to 15 years of litigation, which then the govt i.e. the tax payer will have to bear. Potty govt. Confiscation of property by the government itself is not enough. It will only be just another big news which the innocent/poor/honest people would jubilantly taste. I do not refer this to BR’s or any other’s property in particular. But if someone is unable to show as to how and what legitimate source/s he or she has acquired any property whether movable or immovable, and if at all cannot show a legal channel under which the property so acquired, then the Commission to Investigate Allegations of Bribery or Corruption (CIABOC) should call for details regarding the same by sending the Form 5, to him/her to show the line of income as to how the property was acquired by him/her. If he/she found unable to do the requisite, then he/she shall be charged under the Declaration of Assets and Liabilities Act in the High Court of Colombo as a separate charge by serving an indictment under the signature of the Director General CIABOC. To do this, there need no complaint by any person but the CIABOC by its own motion in these types of mammoth swindles can institute action in the High Court provided as explained, having called for explanation. However, the misfortune of the people of this country including the unborn children, the CIABOC is also seems to be at its fastest sleep. Not only the CIABOC, there are several institutions which do not bother to or dare to investigate and question how billions of rupees have been acquired or come into the possession of certain well known individuals,as revenue.Bribery and corruption there tooo? Look at Dubai where such cases get resolved quickly. Why will the government take 10 to 15 years. Appoint a special court and resolve these cases fast, so that Basil and all those who did wrong get punished. Only then the poor citizen silva will feel there is justice in the country. If you take 10 to 15 years, Uncle Basil may not be living at that time. He should be past 70 now. This means Basil would have not served the sentence and Judge will close the house. Looks like thieving people will stash their illegally earned money abroad,like Belarus.Eventually Belarus will confiscate it from them.they have leaned this trick from other countries.